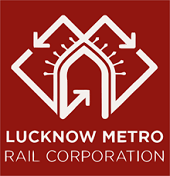 Online Application Details for Lucknow Metro Rail Corporation Limited LMRC Recruitment of 1 Deputy General Manager and 20 Manager is given below. Application form and duly attested documents are to be sent to Company Secretary, Lucknow Metro Rail Corporation Ltd., Administrative Building, Near Dr Bhimrao Ambedkar Samajik Parivartansthal, Vipin Khand, Gomti Nagar, Lucknow-226010 or Email to cslmrcl@gmail.com. In envelope super scribed with 'Application for the Post of Post Name'.